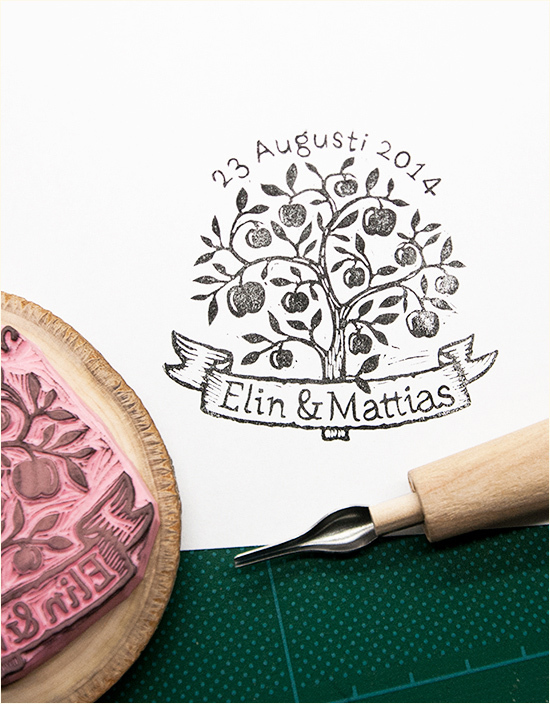 Tyr, of This Is Just To Say Stamps, is a rubber stamp artist in Stockholm, Sweden who custom designs and hand carves stamps for creative and fun-loving couples around the world. Tyr can accommodate any design and ships worldwide. This Is Just To Say Stamps will seal your wedding stationery with a personal touch and leave the perfect first wedding impression on your guests. View all of his stamp designs here and don't forget to take a peek at his Wedding Chicks vendor page. Join us again tomorrow for another Wedding Chicks vendor happy hour. To get information on becoming part of The Wedding Chicks, and join all the fun, email us by clicking here.